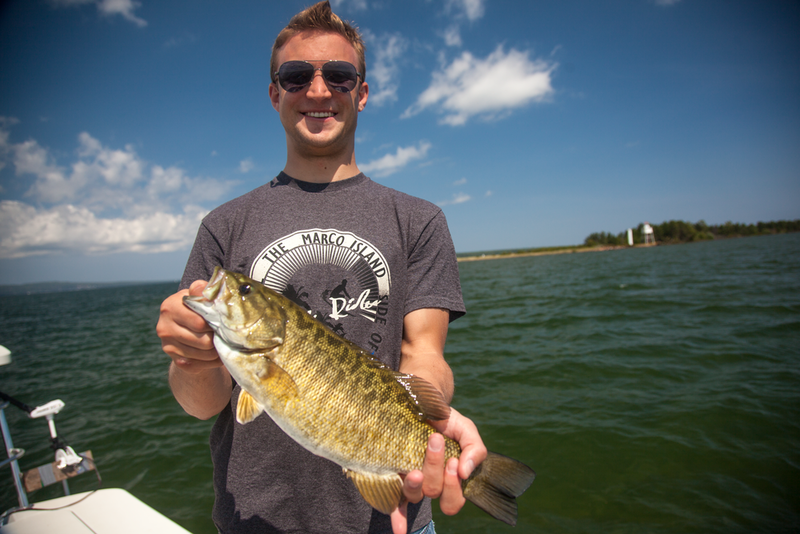 Joe from Illinois with a beuatifully colored Smallmouth caught sight fishing a sand flat off of Long Island. Joe made the right cast and got the job done. Way to go dude! The water off Long Island has been super warm. After a little fishing, it's a great place to jump off for a swim! Fish on! Summer is a really fun time of year to fly fish for smallies up here. Warm water, happy fish and lots of sight fishing. 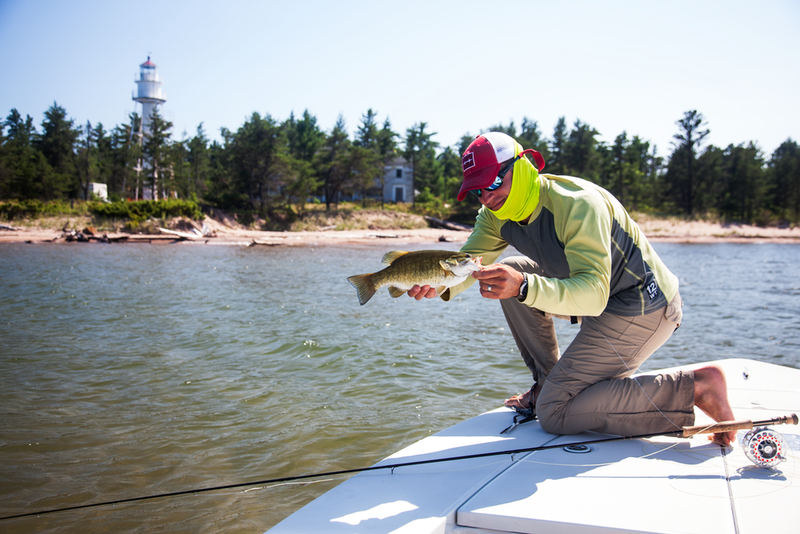 We had another great week of fairly stable weather and classic summer fishing out on the big water. The water around Ashland was fairly dirty earlier in the week, but began to clear up towards the end of the week. Water temps our there ranged from 65 into the mid 70's in some areas. Fishing right around Ashland has been good for a wide variety of fish, and trolling the recent mud lines has been good for walleyes in the early mornings and evenings. Smallmouth fishing was fun all week with lots of fish both shallow and deep and customers got into fish on both light tackle and fly fishing. Fly fishing has been really fun lately, as there are fun numbers of fish up shallow in certain areas. The good old Clouser Minnow was the best fly, but we were getting fish on Murdich Minnows and crayfish patterns when we find fish up in the rocks. On the light tackle side of things, you can't go wrong with a sucker minnow rigged on a circle hook. Otherwise, soft plastics such as twister tails, or top water baits in the early mornings or evenings with get fish moving. There have been a few brown trout splashing around out there, and we've had good reports of browns out into the Apostle Islands. The trout and salmon fishing will really get going in the next few weeks, and always presents a fun fishing opportunity. Never too early to get excited for the fall shallow water trout and salmon fishing!